This week, we got to talk to Judy Marples, designer of contemporary and fresh accessories and cuddly baby garments. Click here to see all of her patterns! Hi Judy! Tell us a little bit about yourself! Hi Kirstyn, thanks for inviting me for an interview! I live on the west coast of Canada, near Vancouver, BC. As well as designing knitting patterns, I teach knitting classes, spin (most recently I’ve fallen in love with the drop spindle) and sew. I am always looking for the slightest excuse to jump aboard the ferry to Vancouver Island with my knitting bag. When did you first pick up the needles? Do you remember what your first project was? I began knitting as a child, I think I was about 8 or 9 years old. My mother taught me how to knit. At first it was difficult because I was left handed and my mother was right handed and she was trying to teach me to knit left handed. We were both very confused! But when I tried it right handed, it all clicked into place. I do remember my first project! I think I knit a few practice squares and but my first real project was a vest, made using navy blue worsted. It was all garter stitch with no shaping and was basically three rectangles, one large one for the back and two smaller ones for the fronts. I remember begging my mother to allow me to stay up past my bedtime, so I could finish it and wear it to school the next day. I was beyond proud to be wearing something that I had made myself. What lured you into the world of pattern designing? I had gotten addicted to knitting lace and had knit several lace shawls. It started as a challenge to myself, just to see if I could do it. I think what attracted me most was the math and logistics of how to figure out how everything fit together. I have always loved math and I am a planner, so the whole process really appealed to that side of me. A favourite moment of mine is to open up a pristine, new pad of Cambridge graph paper, pick up my pencil and begin planning a new design. How would you sum up your design style? I love bright, saturated colours in pretty lace with a touch of something unique or different. I am very conscious of all the little details of a design. It absolutely must be enjoyable and interesting to knit. If I don’t enjoy working a particular stitch pattern, even if I love how it looks, I won’t use it in a design. I try to design each piece with both the process and the product in mind. I want the knitter to really enjoy making the project and also enjoy the finished piece. Are there any techniques you particularly love? Lace of course, but I also love color work, especially slip stitch patterns. Color is usually the driving force for me with any project. Right from the very beginning of any design, I’m all about the color. New construction methods or new techniques of any kind always attract me. I love learning something new and then experimenting with it. Doing the same thing but in a different way always makes me happy. Which is your most popular pattern and why do you think that is? One of my most popular patterns has been Sonetto Shawl. It’s been one of my best sellers ever since I published it in 2013. I think at the time, it was something a little bit different. But it’s stayed popular, I think, because knitters have published photos of some really great versions of it. People tell me that it’s easy but interesting to knit. A very kind knitter even translated the pattern into German for me, so it’s available in two languages. I love nature and botanicals and that’s often my theme but I also find great inspiration in unusual places. Something I really enjoy is to pick a place on a map, and then try to design something that represents that place. I research the place online and that way I get a little mini vacation while working on the design! I would be a handspun yarn, made on a beautiful, handcrafted wooden drop spindle. I would be spun from some beautifully prepared and hand dyed wool/cashmere/silk fiber in many shades of vibrant green. I would not be perfectly spun, but would have character and be quite unique. Preferably spun in the salt air! Thanks, Judy! If you want to see more of Judy’s fabulous patterns, click here. love your shawls. 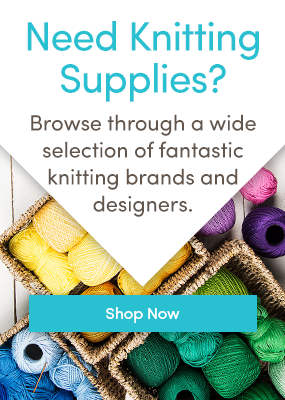 do you have an ebook with multiple patterns? it’s hard to pick which one to do first! Your patterns are so beautiful. Your work is absolutely stunning!! I love the colors and the different stitches on the shawls. Thanks for sharing your work and your talent! I think your work is fantastic. Love you beautiful colours too. Your work is stunning. Love the beautiful colours too. Your shawls are gorgeous. I especially love the Dovetail and the Done to patterns. That colour green is beautiful. Unfortunately, I cannot read charts. I prefer written patterns. Are your patterns all charts? Thank you all for the lovely comments! I don’t have an ebook of shawls, but that’s a good idea! Some of my shawl patterns include both written and charted lace patterns. Be sure to check the pattern page for confirmation of this. I always add a note to the pattern page as to whether it is charted only or includes written instructions. I do try to include written instructions when possible. I find your work and your story very poetical. Congratulation! For me, I create atmospheres and knitting poetry for baby and toddler. I’d like to have your advise for my work till i’m an outsider for the world of professional knitting. Can i send you some pictures of my creations for a quick look and advise? If yes, can i have a e-mail address? Thank you very much!